Renaissance Fresco Depicting Pope Saint Gregory The Great In The Collegiata Or Collegiate Church Of San Gimignano, Italy. Lizenzfreie Fotos, Bilder Und Stock Fotografie. Image 111810668. Standard-Bild - Renaissance Fresco depicting Pope Saint Gregory the Great in the Collegiata or Collegiate Church of San Gimignano, Italy. 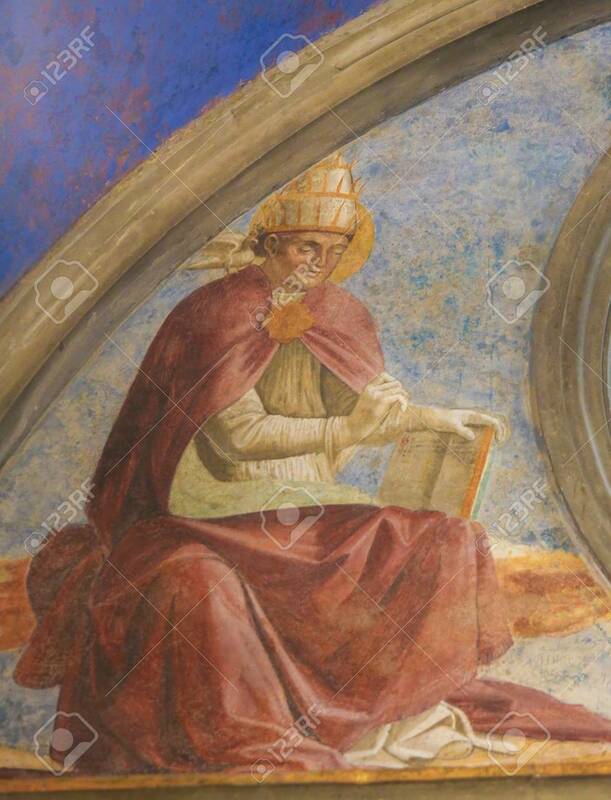 Renaissance Fresco depicting Pope Saint Gregory the Great in the Collegiata or Collegiate Church of San Gimignano, Italy.